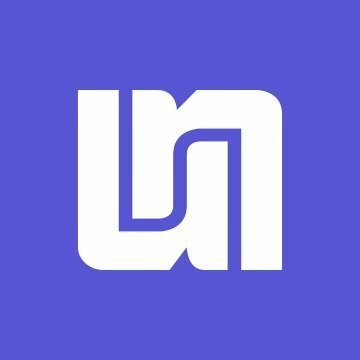 Unmetric is a seeing platform that combines the power of human cognition and technology to provide global brands with data to analyze, benchmark and enhance their social media efforts. "Tries hard, but it's not the most useful tool around"
Email updates on competitor activity are probably the most useful, it's good to know what other brands in the category are up to. Unmetric doesn't offer anything that can't be mined out of native platform insights. As a tool, it has extremely limited use cases. Hi Hushidar, thank you for taking the time to leave your feedback on Unmetric, your thoughts and opinions are valuable and help us constantly improve the product. Happy to hear that you are finding it useful for competitor alerts via email and competitor tracking. Your account manager would love to be able to show you more ways you can get value from Unmetric, such as how you can go beyond the native insights and analytics to help you make better decisions. Unmetric provides a simple solution to get a snapshot of how our competition is performing in just minutes. The ease and speed at which our strategists and analysts are able to pull data is beyond any other social analytics tool we've used. As social platforms continue to add paid content opportunities, an even deeper understanding of what content is paid would be helpful. From what I understand though, this is something they are actively improving. UPDATE: Unmetric has recently released solutions for detecting paid posts on Twitter and Facebook. Unmetric has provided valuable data around not only competitors but entire categories/industries that we would otherwise not have access to. This has helped us generate extremely thorough competitive reports for our clients allowing us to demonstrate success beyond our owned accounts. The tool has also provided in-depth content analysis for our own brands, sparking immediate optimization for content and community management. "Owned Community Metrics and Insights"
Unmetric provides the key metrics and views required for analysis of owned communities across a variety of channels in a very friendly user interface. What separates their solution from many others, however, is the pre-written 'insights' and 'highlights' attached to most graphs, which auto-magically find significant outliers and display them in plain English -- e.g., "@[handle] had a higher Engagement Score than the average in the [industry] industry in [region]. See why [link]." Their latest releases include wonderful search functionality for content ideation based on the entire data set of owned communities they have access to. A large, but predetermined set of tracked owned media channels implies that niche communities may be out of reach for a few days while the system loads them up. However, the tool has made this process quite easy, with a simple point-and-click leading to a confirmation e-mail that a community will be, and then was, added for tracking. Unmetric focuses on owned communities, providing metrics and analysis around engagement / customer service / content that most listening tools do not offer due to their broader 'social listening' focus. Being able to keep tabs on these communities and their publishing performance has been faster and easier using Unmetric than other tools. The recent content ideation tools have also been useful to inform our teams of potential ideas for content and campaigns. "Useful tool for social media managers"
Unmetric is able to monitor the activities of your brand and competitors' pages. It also gives you the industry benchmark which helps you get a sense of how well or badly you're doing. Unmetric has it's own engagement rate with a configurable formula, so that makes it flexible.. There are many types of graphs available that helps the team a lot. All the data and charts are exportable, so it's easy to use for management reporting purposes. Unmetric is also continually upgrading their services and enhancing their products, so this is very beneficial to customers. The Unmetric tool isn't able to pick out posts that are geo-targeted, hence it's not able to give you a full picture of their social media activities when you want to make a comparison between your brand and competitors. If I want to nitpick, the colour of the graphs are all of the same colour, so that aspect can be improved. Otherwise, it's a good tool to have. Understanding the competition, what they're doing and what works. The team is also using Unmetric to find out how engaging our posts are across the various channels that we are on. Comparing beyond the industry that we are in also allows us to set a higher benchmark for ourselves. "Unmetric is extremely helpful for analyzing vanity metrics "
Pulling competitive reporting in Unmetric is very easy. Unmetric is intuitive and automatically completes a series of analysis and graphs. The ideate section of Unmetric is also really helpful, I appreciate the email alerts that Unmetric sends me when one of my competitors does something particularly interesting. The reporting section also does a great job of pulling basic reports about your social channels. It is very easy to use. I hate Unmetric's pricing system. It is all based off of "UniqueIQs." It is not transparent how much a "UniqueIQ" actually costs, or when I am getting charged a "UniqueIQ" for doing something in the Unmetric system. I also think it's methodology for calculating Engagement score is flawed. To Unmetric's credit, you can choose what formula you would like to do this. However, all of your options are based off of the total amount of fans your channel has rather than the reach of your posts. For Facebook in particular, this is problematic given the extremely low organic reach of your posts. I believe that this problem is largely because social networks do not make reach data of posts easily accessible. However, Unmetric's solution of seemingly arbitrarily normalizing brands fan base by putting them to the 0.8 power to calculate engagement is not a good solution. I have primarily used Unmetric for competitive reporting. The get inspired section of Unmetric is interesting, but I haven't really used it. I would like to explore it more. "Leading owned channel and competitive intelligence platform"
Unmetric gives our team at Zócalo Group the analytical intelligence to know what our brands’ social audiences are looking for, and how we can best develop, curate, and deliver that content for them. It's an ace in the hole for understanding the competitive landscape, and measuring impact. Beyond the impressive platform, the team at Unmetric is extremely responsive to questions, willing to help, and open to additional product/feature suggestion. Very infrequently the team can face a slight system performance lag. However, when this does occur, the Unmetric team is responsive in communication with us and the issue is resolved very promptly. Competitive landscape effectiveness evaluations across a variety of social channels including but not limited to Facebook, Twitter, Pinterest, YouTube, Instagram, and LinkedIn. Content optimization. Basic customer service evaluations. Category/industry benchmarking, Aspirational brand benchmarking. Social campaign or events effectiveness. Basic follower/fan analysis. "Just One Social Media Strategist's Take on Unmetirc"
The positive spin on all insights. It's extremely helpful when crafting reports or delivering recommendations, etc. It was immediately apparent that Unmetric put a great deal of thought into the output associated with the data set. I also enjoy the ability to export images as well as data sets for individual customization per client. Sometimes metrics that I need are a bit "evasive." For example, if I hypothetically had an education client, Unmetric provides that the client's Facebook page grew at a faster rate than most other Facebook pages in the Education sector in North America. However, the client is international so when they inquired about their growth rate internationally, I was unable to provide that information or search for it within Unmetric. I enjoy the inspiration benefit as well as competitive insights. Very helpful particularly from a strategic perspective. The ability to see the performance of competitor campaigns and engagement lends itself to truly valuable insights and learning that can inform future campaign development. "Intelligent Workflow: Social intelligence and benchmarking platform"
I have been using Unmetric for multiple clients when I was in an agency role. What I really liked about this program was that it gave me unparalleled information by combining the power or people and technology, which I could further use to embrace and lead today's conversation heavy Social Media environment. "A valuable asset for every agency"
There isn't anything specific that I dislike. I would like to have support for campaign intelligence in Greek language but its not a deal breaker. Go ahead with it. The guys on Unmetric are valuable collaborators for any business. "Great product for reviewing social media performance for clients"
Unmetric is a great product to use when you want to see the performance of your social channels in comparison with competitors. Using different date ranges, Unmetric is able to dig into some intense data and provides an overall engagement score to help benchmark performance. Support can be slow at times given customer service appears to be abroad. Be as vocal as possible with Unmetric in things you like and dislike. They may, if they enjoy your feedback, add it into future product offerings - which is awesome. Whether using for a new business pitch or a current client, Unmetric is able to help evaluate social media performance and is quick and easy to use. "Unmetric is great for post campaign reports"
The best thing about Unmetric for our usage is the benchmarking capabilities and the analytics tab. The one problem we run into is the lack of brands in the database. All major brands are there, but when we are looking into a smaller brand data is not there sometimes. For Facebook it takes about 1 week to be entered. For Twitter however, it can not backdate, so it only starts collecting data as of the date the brand is entered. It is a great platform, very user friendly. The support staff is very helpful. We are using Unmetric primarily for post-campaign reports, evaluating a brands presence within the Social space. nothing specific. If you are looking at crunching more data and derive actionable insights you will still need a Netbase or a crymson. It will not be a primary tool for the analyst. But for the brand manager it can be the most meaningful tool. Great team and a product trying to help brand managers make measuring social meaningful. Brand performance in the media space. Responsiveness of our brands vs competition. "Unmetric is THE tool for social benchmarking." Unmetric is a user friendly tool that provides great social insight in the matter of minutes. Where competitive analysis used to be a tedious, pain process - Unmetric has made it simple to get a great pulse on competitive performance in a matter of minutes. I dislike the credit system because it makes tracking usage of the tool a difficult task across users at an agency. It has increased our ability to look both inside and outside client categories to get social insight into what is working for various brands across the space. Unmetric has great detail in its benchmarking data. The sector analysis is pretty unique and the alerts are a must have. The brand database needs expanding further. Although to be fair this is already happening. Average Response Times can be extremely insightful into a brand's social media customer service strategy. I haven't had access to this kind of insight before. It's pitch winning material and builds bridges with partners. Unmetric is great for sourcing tailored information and reports to use in a presentation to potential clients. If I can show a brand that I know as much as them (or even more) about their engagement, campaigns and content strategy I get credibility and focus that's hard to come by. Unmetric also makes it possible to upsell existing clients on reporting for opportunities and issues they might not have been aware of. Strongly consider adding this to your portfolio. Occasionally a core account is not currently in the tool. I would suggest that prospected users ask Unmetric first about specific properties to make sure there is data. We look across competitive sets to identify social media performance for comparisons, white spaces, positioning, etc. This tool allows us to look at data in meaningful ways. Unmetric is very easy to us with minimal to no training, and provided my team and my client competitive insights that no other software company would be able to in the social space. We were able to analyze the data and realize things like our competitors chose to merge to a global page structure - which we could not have figured out manually. Unmetric's data also contributed to informing our recommendations for this year. The pricing structure how the Uniq IDs expire. A better understanding of our category and the competitor's efforts and how we should/will optimize our own (like response times). "Analysis on competitor social media activity for a global automotive brand." The ability to measure and track the performance of competitor content and social platform pages. All data is downloadable and the tool offers great flexibility across industries and clients. There is a lack of detail in some areas and it can take time to add non-tracked brand pages to the system. It helped us to optimise our client's social content and activity more effectively. I like how easy it is to compare my platforms with my competitors. It's super helpful in helping me to set social benchmarks for similar initiatives. I also get a better idea of what type of content to create to reach these benchmarks. The only problem I've had is finding more brands in our competitive space. There a few others who's data I would like to see, but for the most part I can get a good comparative analysis based on what's available. We are trying to create more effective content to maximize campaign success. "Review of Unmetric used for Competitive Tracking at an agency level"
Lack of ability to customize metrics (i.e. engagement rate). Lack of ability to see multiple channels together. We are comparing our client's post performance to that of their competitors. We have been able to easily identify where one of our brand's excels vs. it's competitors, and vice versa. This provides simple to find and easy to understand talking points for our clients. "Good resource for competitor information"
Data doesn't always go back as far as I need it to. Tracking social media profile information across multiple platforms for brands. Hi Nichole, I just wanted to let you know that we have now added a promoted post detection product which gives you a monthly report on up to five brands that have promoted their posts on Facebook during the previous month. Additionally you can get information on which tweets have been promoted on Twitter from within the platform - promoted tweets are marked with an AD icon. * We monitor all Unmetric reviews to prevent fraudulent reviews and keep review quality high. We do not post reviews by company employees or direct competitors. Validated reviews require the user to submit a screenshot of the product containing their user ID, in order to verify a user is an actual user of the product. Hi there! Are you looking to implement a solution like Unmetric?